Perma Cure WB White is a pigmented wax based. emulsion for retaining water in concrete for effective hydration of cement. Perma Cure WB White provides a highly economical and efficient means of retaining the water in fresh concrete. The presence of water Is essential to ensure the strength development in concrete. The membrane formed by PERMA CURE WB WHITE prevents concrete from premature drying out and, therefore enables the process of hydration to proceed under optimum conditions. As a consequence, the finished concrete has a harder. dust free surface whilst drying shrink age and crazing (hair cracks) are reduced to a minimum. 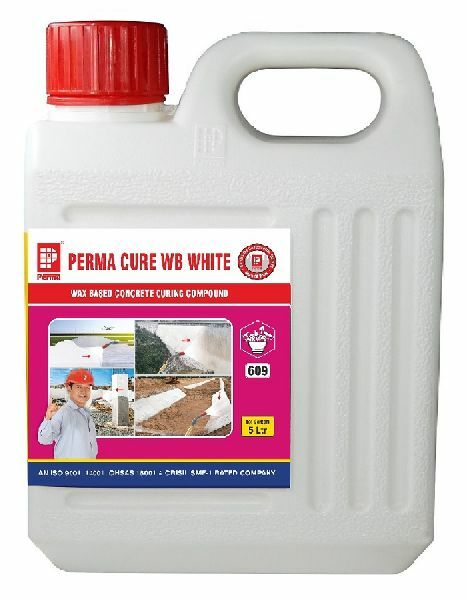 Packing : Perma Cure WB white is available in 5 Ltr., 10 Ltr., 25 Ltr, 100 Ltr. & 210 Ltr.